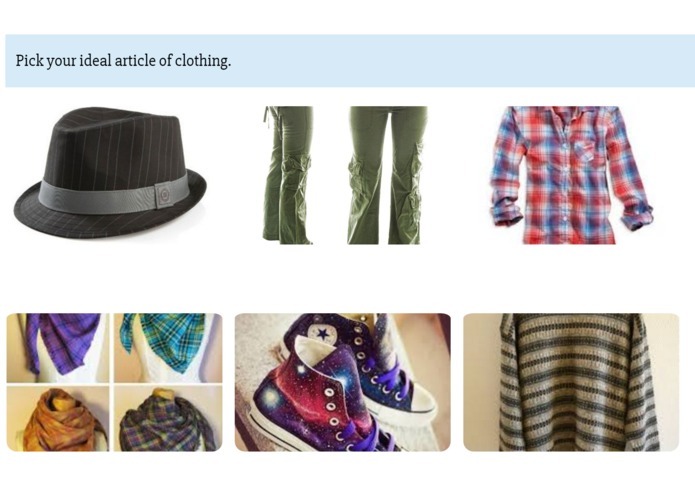 A questionnaire to show you if you're too mainstream or if you are the king of hipsters! 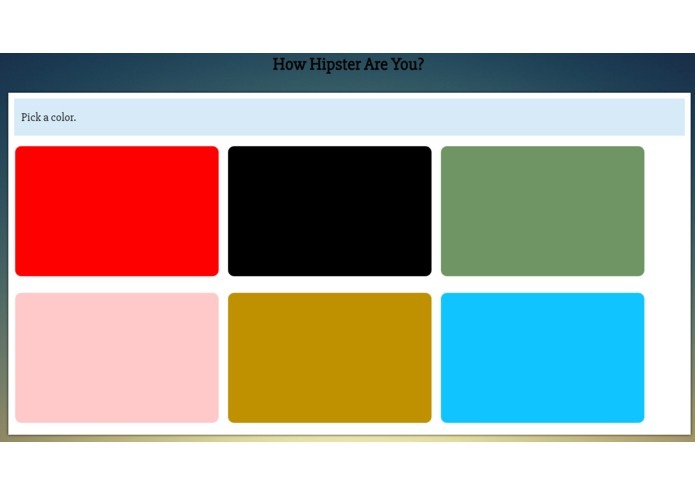 A front end site that determines how hipster you are and suggests music for it! A series of questions about your favorite color, city, clothes, coffee, and more! Based on your results, a customized music list will be produced at the end for your enjoyment! I worked on creating the questionnaire and the HTML file. I helped write the questions and find most of the pictures and I wrote these into the HTML file. I also helped determine the layout of the webpage. I worked on the page design, including making the images have rounded edges, shadows when hovered over, and text centered below. 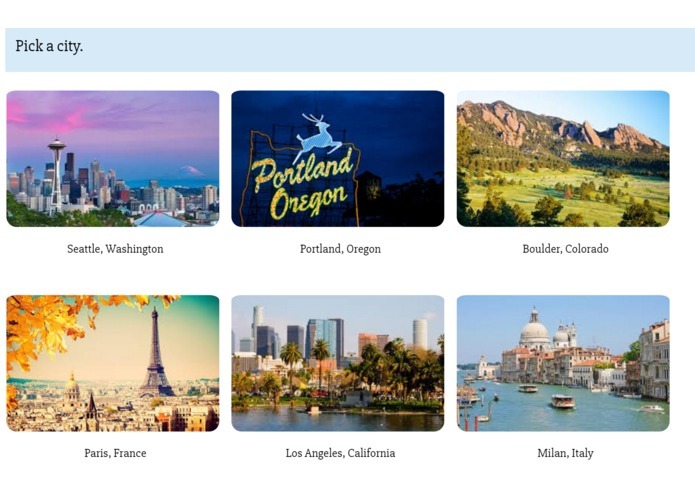 I also added a bigger shadow when an option is selected in jQuery. I am a 3rd-year mechanical engineering student at Georgia Tech. I enjoy the design aspects of engineering and CS. I implemented the site's ability to detect answers via radio buttons. I also learned how to embed soundcloud playlists acquired from a call to its api.